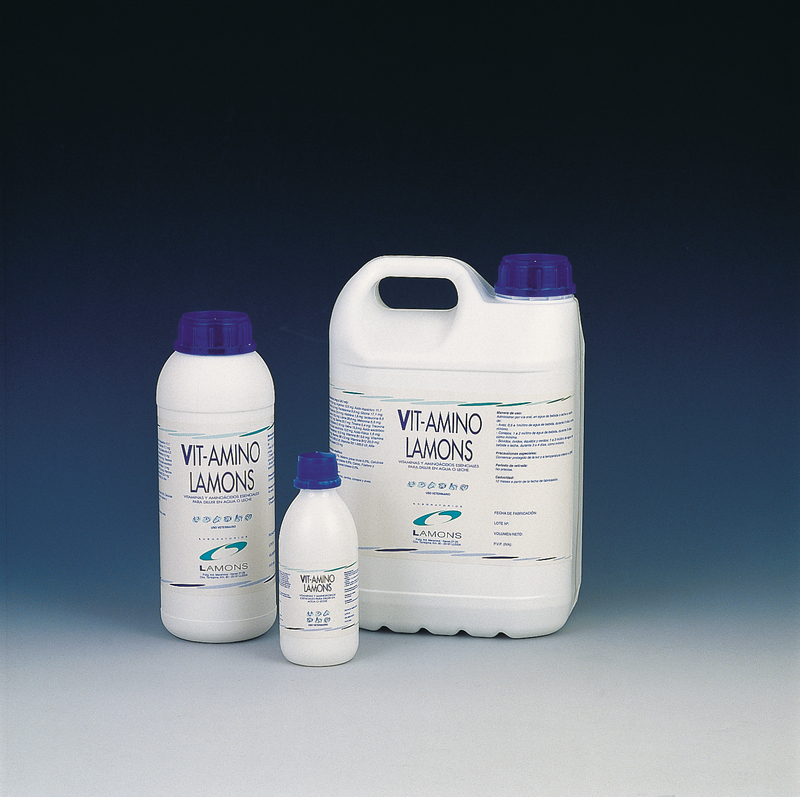 VIT-AMINO LAMONS is a complete complementary feed with a high content in vitamins and essential amino acids. Vit-Amino Lamons provides amino acids, water-soluble and fat-soluble vitamins, and its administration is especially indicated during periods of growth, as well as for egg and milk production. In general, it facilitates the recuperation of stressed or sick animals, or during convalescence. Mix at a ratio of 0,5 ml/Litre of drinking water or milk, during 4-7 days. The dose can be doubled in quantity and period of use, according to the criteria of the nutritionist or veterinarian and according to the animals' needs. ADMINISTRATION DURING GESTATION AND LACTATION: Especially indicated for these periods. INTERACTION WITH OTHER PRODUCTS: None described. SPECIAL PRECAUTIONS FOR USE: None necessary. PRESERVATION CONDITIONS: Store in the sealed container, in a cool, dry place, and protected from direct light.